Cybersecurity studies at undergraduate / postgraduate level are offered at numerous universities in Australia. The level offered varies from a specifically named undergraduate / postgraduate coursework degree to usual IT or relevant degrees offering cybersecurity as a minor or major theme. A minority of universities do not offer any specific cybersecurity specific course while others offer such courses in association with industry organisations. 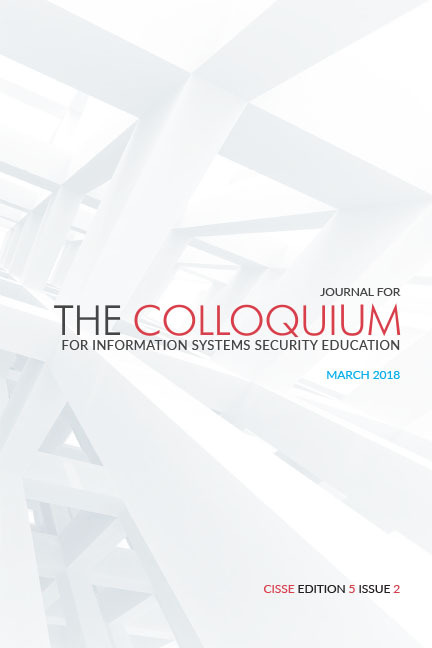 Based upon an extensive analysis of published course / program data from university websites, chosen as the best data repository that would normally be examined by prospective students, this study submits that in Australia available courses are few and are acknowledged as not meeting market demands for skilled cybersecurity professionals. This has been recently recognised by Australia's Federal Government which has implemented the “Academic Centres of Cyber Security Excellence (ACCSE)” program in its 2016 / 2017 budget to promote the discipline and university support for it. In summary, courses currently available appear quite limited in scope.